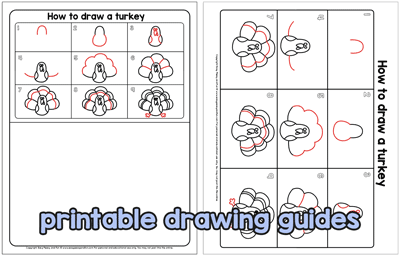 Learn How to Draw a Turkey with our Step by Step Turkey Drawing instructions. 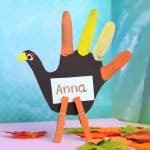 If you are a teacher and want to do a Thanksgiving project with your kids, why not teach them this? 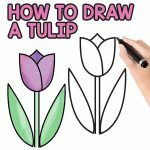 Perfect for beginners too! 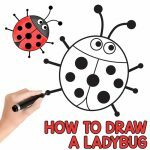 Love simple how to draw tutorials for kids? We have many waiting for you. 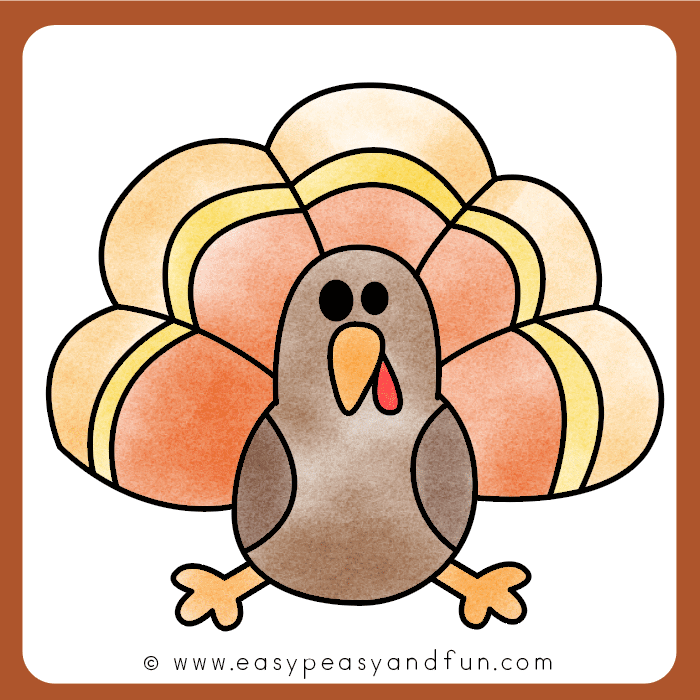 Fall is not only time of leaves changing colors, it’s also the time of turkeys (well they are here all year round, just a bit more popular this time of the year). 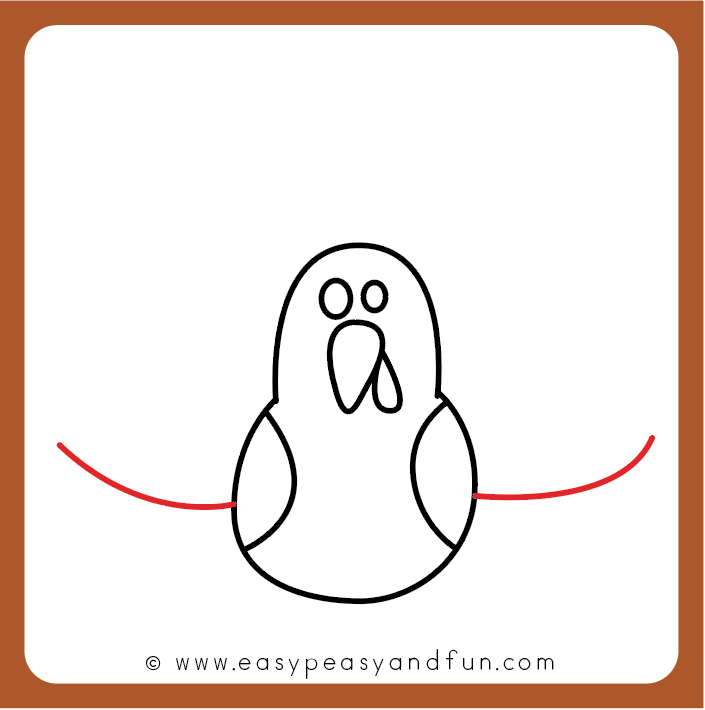 Start by drawing a inverted U :). 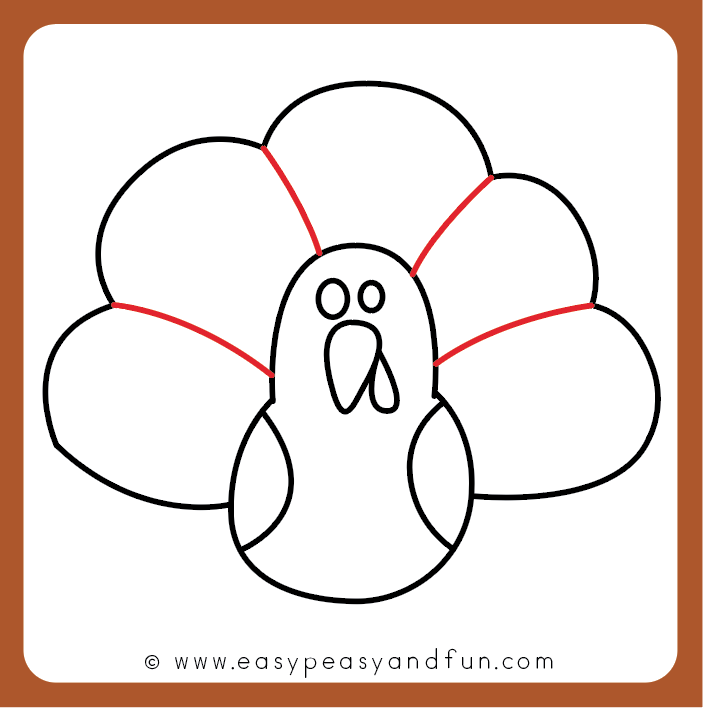 This will be the head of the turkey. 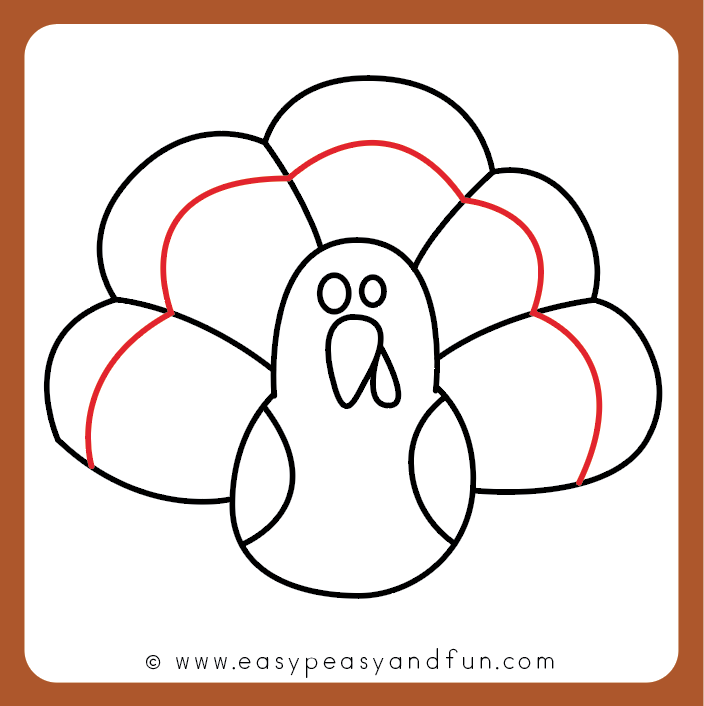 Continue with the round shape under the head, this will make the body of your turkey. You should be seeing a somewhat nice pear shape. 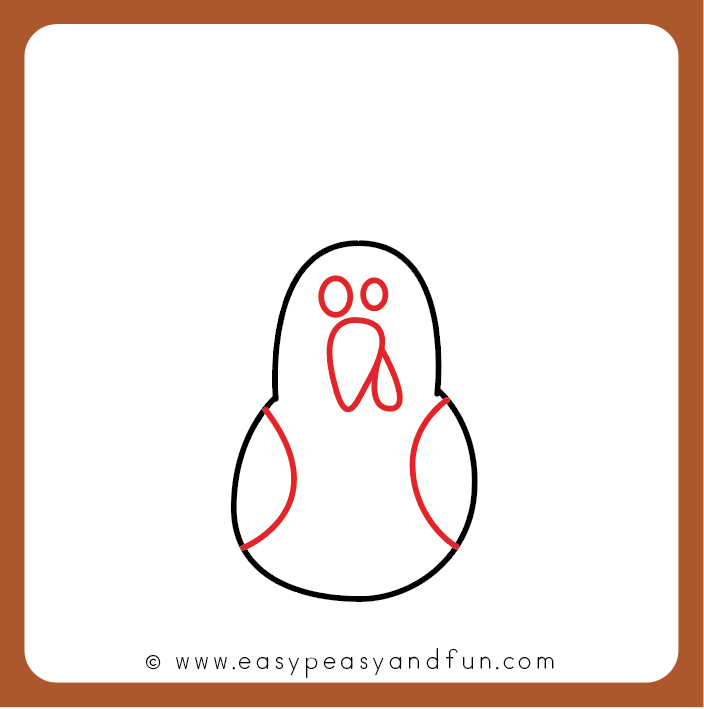 Draw eyes and beak (with details). 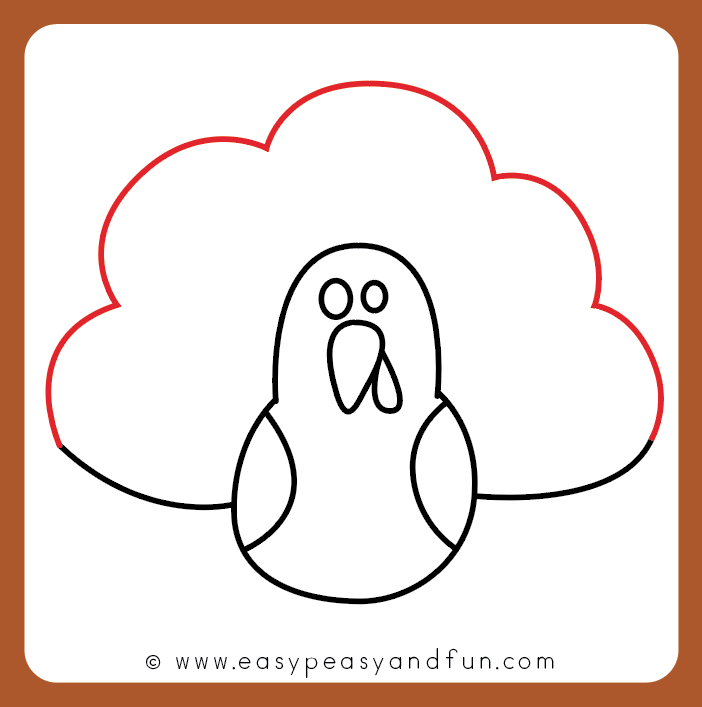 Also draw two round shapes for the wings. 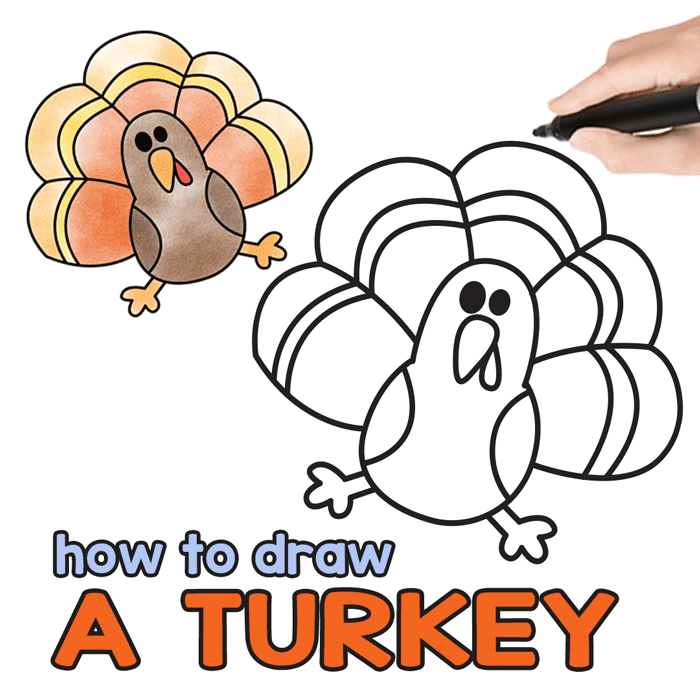 Time to start drawing those magnificent tail feathers. 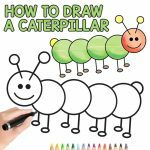 Start by drawing a curve on the left side and on the right. 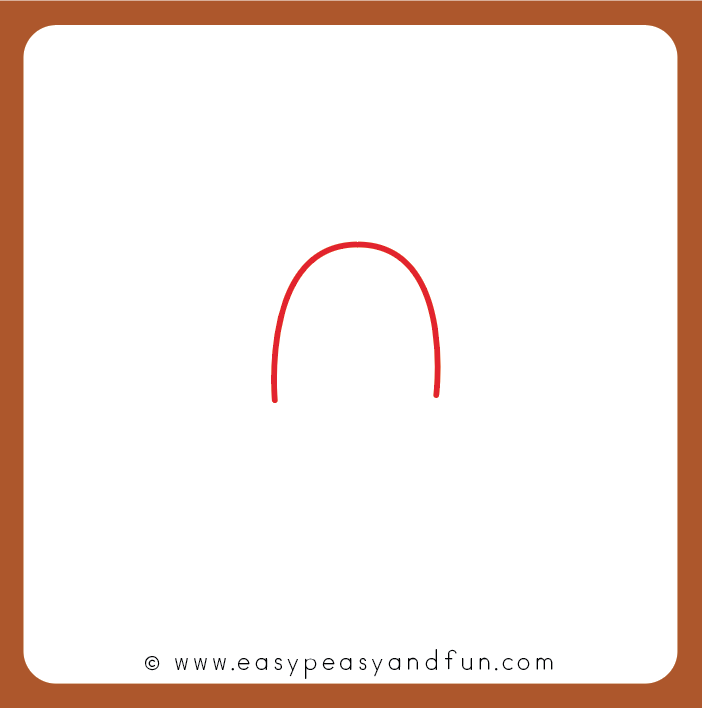 Connect the ends with a few arches (5 is ideal). 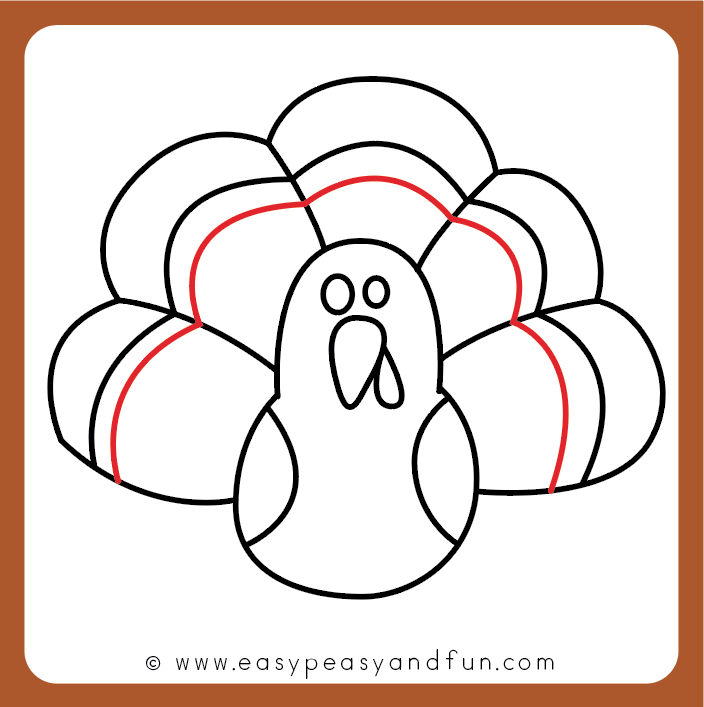 Draw a line from the “bottom” of the arch to the turkey body. Next come the arches under the arches. 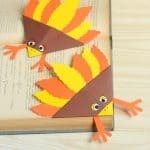 Let’s draw those details on the tail feathers. And another row under it. 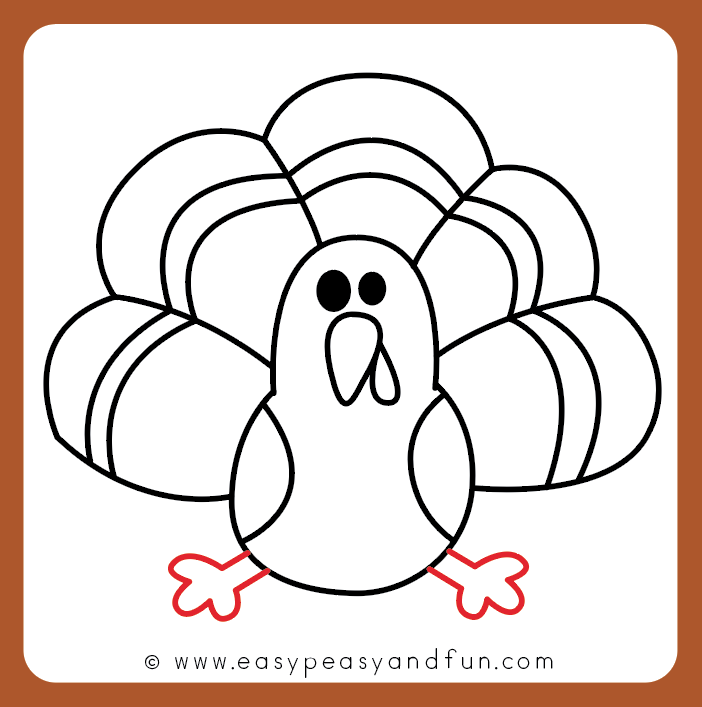 Lastly, draw some turkey feet. All done! 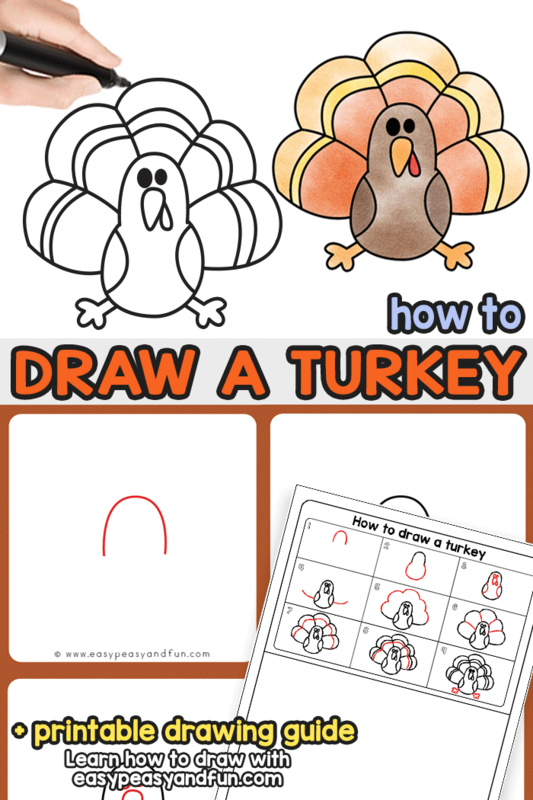 You have learned how to draw an turkey. It was easy wasn’t it! 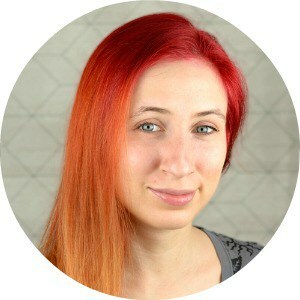 Super navodila za nekoga, ki ne zna ravno risati. Lep pozdrav iz Bistrice ob Sotli.